Welcome to Week 4 of Punt Pass Play. It’s crazy to think we are already one fourth of the way through the 2018-2019 NFL season. Even though he got hurt and left the game, Matt Breida ended up being the best Play over Phillip Lindsay (who I told you to Punt) and Tevin Coleman (who I told you to Pass). Matt Breida proved to be the most effective player, well on his way to another productive week prior to getting hurt. He still toughed it out and proved me right. Coleman managed to salvage his day with a TD reception but he wasn’t effective on the ground. I won’t brag this week because I’m happy Fall is here and I’m genuinely used to being right nowadays. With Bye weeks starting, we have even more decisions to make in Week 4’s series of Punt Pass and Play between Tyler Boyd, Sammy Watkins, and Calvin Ridley. This might be one of the most difficult decision in this series. All three players are facing some of the worst pass defenses in the league, but again, this is purely matchup based. Patrick Mahomes is on fire and has made Sammy one of his “Homies” (I’ll stop) out on the field. However, although his target share has gone up from 4, 5, and 8, respectively, this game will be primarily controlled by the Chiefs. I anticipate an early, steep lead, allowing the Chiefs to pass less and run more. Based on this matchup, you need to move Watkins to the bench if you have another playable option. Furthermore, I don’t foresee Mahomes sustaining such ridiculously awesome production. Sammy Watkins should still hold trade value if you need to make a move for your Bye week or to find a RB. We’ve seen Sammy Watkins’ capabilities. In the long-term, I believe you should keep him on your team. Travis Kelce is still looking great, but Father Time will start catching up to him year over year. Watkins still has the youth and speed to keep defenses in check and will be able to sustain WR3 production throughout the year and likely WR2 into the next one. I recommend hanging on to him or selling high to set up a domino trade at this juncture. Yes, he has been very productive two weeks in a row. Yes, he is actually a great Bye week fill-in. However, his big game was against a poor Saints defense (they’re back!). 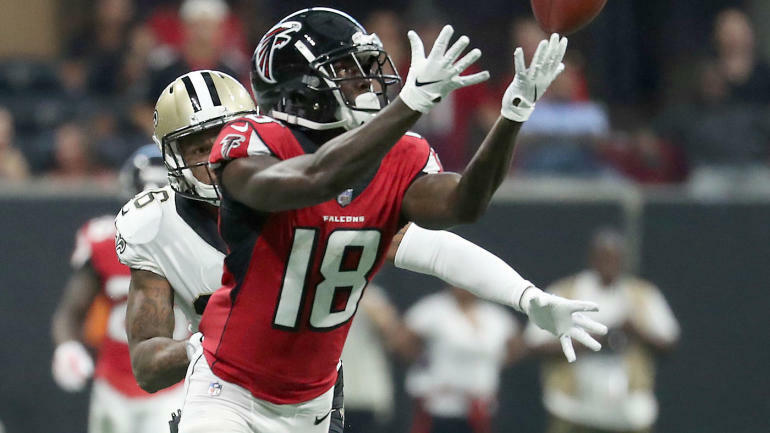 The Falcons have a shiny new toy in Calvin Ridley, and as long as Julio Jones is on the field AND healthy–he’s already starting to battle his usual injuries–that’s when Ridley will be able to take advantage. Just keep in mind that game flow allowed Ridley’s eight targets, compared to just two and five targets in week’s 1 and 2, respectively. Not to mention the Bengals have a better front seven than the Saints. But also don’t forget: There are 15 touches per game being missed while Devonta Freeman is out with an injury. Although Freeman won’t be back this week, I’m still not sold that Calvin Ridley’s stock is good enough to start this week. Sell him high and sell him STAT in redraft. Best case scenario, you may steal away garbage points, but that is never anything to bank on. Sign and trade if he’s still available in your league. Capitalize on Freeman’s injury much like I said for Tevin Coleman last week. You don’t even need common sense for me to tell you to hang on to him or accept only the most ridiculous offer. You likely used a 1st round rookie pick on him. No reason to part ways with the way he is flashing right now. He will be the number two option next season assuming Tevin Coleman departs Atlanta, which will open up the same 10-14 touches/opportunities being vacated by Freeman’s injury. Ito Smith won’t be a huge factor early on next season since the Real Tevin Coleman will be standing up and leaving. He’s merely a cuff to Freeman in 2019. Keep Ridley. Keep him for the long-term. Keep enjoying the flashes of potential on display this year. KEEP, KEEP, KEEP! All three wide receivers are the “second wideout” on their respective teams. All three have the potential in their starting role either in a new offense or building chemistry over time. But nothing seems like a better choice than Tyler Boyd for multiple reasons. Reason 1: Boyd still averages seven targets a game and sixteen the last two weeks alone. Reason 2: A.J. Green is “optimistic” he will play, but Boyd has found his rhythm in the slot under new OC Bill Lazor. He is providing owners with a safe floor of a high WR3 and possesses high-end WR2 upside. Reason 3: With Joe Mixon out, the Bengals will rush less and pass more, which bodes well for Tyler Boyd as well. Reason 4: A banged up Atlanta Falcons defense opens the door for Tyler Boyd. Even if AJG sits out, play Boyd who has WR1 upside this week. The Falcons have no safeties worth playing and Deion Jones is out as well. The Falcons defense is in trouble and moves as fast as I do in an innertube on a lazy river… with a beer… in the sun… where were we? Ah, yes. Play Tyler Boyd. Start him with confidence and reap the benefits. Tyler Boyd is young, agile, and is finally being properly utilized while also recognizing his talent. There aren’t many other options outside of A.J. Green. Green has shown the ability to be a high end receiver, but he is on the wrong side of 30 and suffers nagging injuries continuously. Boyd won’t return super high trade value just yet. You’re better off stashing him and letting him take the reigns as the Bengals likely top receiver in a few years. If he goes off this season, you may be able to move him for a more consistently impactful player, but the trade value isn’t high enough as most people will take a “wait and see” approach. If you’re the buyer, take the dart throw on him and try to acquire him. In summary, all three guys play against pretty bad pass defenses this week. But of the three, the Falcons are the third worst team in the NFL in sacks, meaning Dalton will have the time to find his receivers. 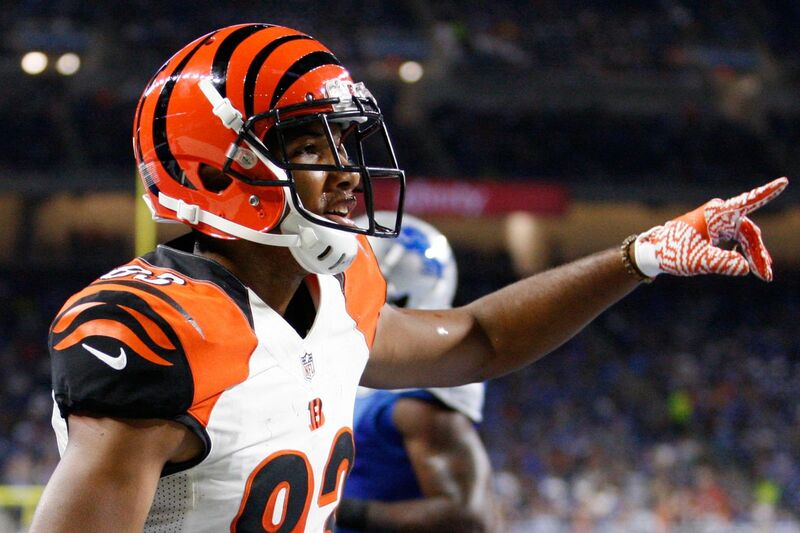 Follow my three out of three prediction success into Week 4 and enjoy your victory with the help of Tyler Boyd. For more fantasy advice, add me on Twitter or ask via email at Riccadonna3733@hotmail.com. Until then, I’ll see you for Week 5 edition of Punt Pass Play!